FINAL TEXT: Deal Physical damage to target enemy. If the enemy is Breached, attack again. FINAL TEXT: Deal Physical damage to target enemy, Stun them for 1 turn, and inflict Target Lock for 2 turns. This attack deals 50% more damage to Breached enemies. 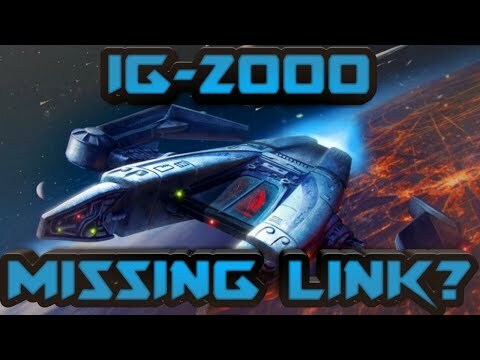 FINAL TEXT: At the start of each turn, the IG‌-2000 recovers 8% Health. It also gains +8% Offense for each debuffed enemy. Other Droid allies gain half these amounts. 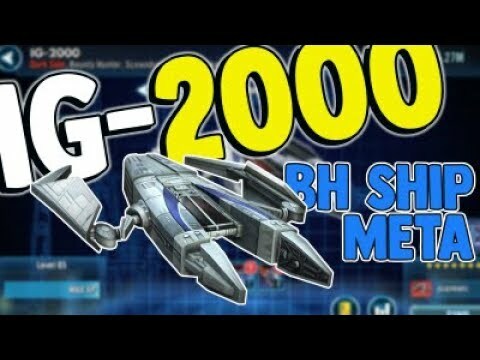 While the IG‌-2000 is active, Breached enemies have -25% Critical Chance. FINAL TEXT: Enter Battle: Grant another random Attacker ally Offense Up for 1 turn and inflict Critical Chance Down on all enemies for 2 turns. Additionally, inflict Target Lock on the highest and lowest Health enemy for 2 turns, which can’t be Evaded. 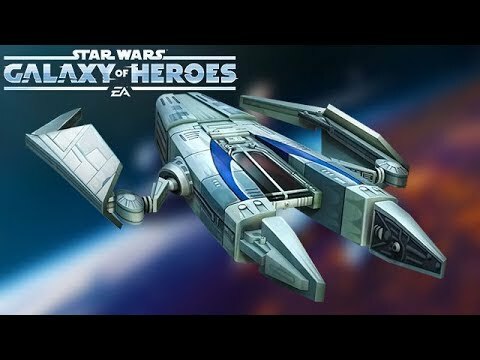 More bounty Hunter ships you mean. @CG_GAWS is the Crew ability supposed to say Droids or something else? Good gravy, I hope so. That reinforce is kinda - Nasty. I like it. Animation for Basic is also very cool. Also Seperatist rework confirmed (kinda). Wonder if Grevious will get his corvette looking fighter or a Cap ship? It indeed is supposed to say "Droid"
@CG_GAWS can we get some clarification, will the Droid tag be added to existing Droid piloted ships (Phantom, Cassian’s U Wing)? @Warrior_TI is the pilot modded/geared properly in the video? If its WAI, I apologize. Inertial dampeners? What Star game are we playing here? 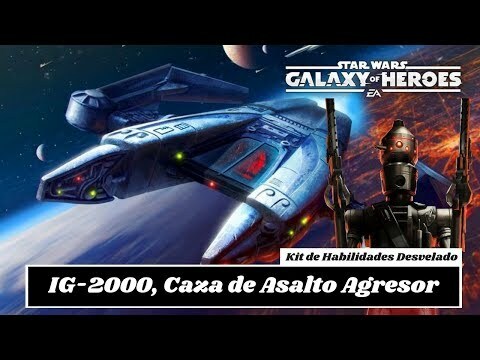 So, now that we have more bounty hunters than separatists AND IG-2000 unique implies more droids coming soon, does that mean part 2 of the Clone Wars marquees include separatist ships/reworks? 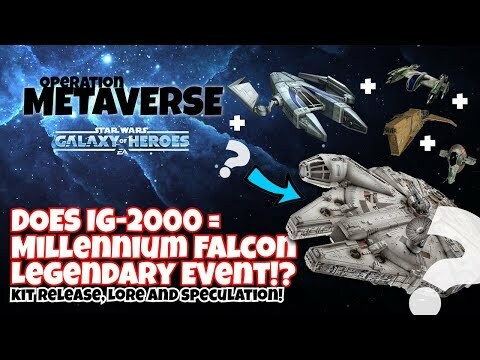 Also, I’m personally hoping the falcon comes from a ship raid, not a legendary requiring BH (only 1 of which is currently farmable). Post needs to be stickied. @CG_GAWS any comment on Warrior’s assessment? Is this really the damage we’re looking at? I have a 7* HT and XB, and I won’t be getting this unless the damage is higher on release. They can’t all be winners, I guess, but I had high hopes for this. Ok.... and when this endless invasion of BH and their ships will be stopped...? Personally I like it. Keep the BH ships coming. Besides, this is a marquee event. Did you really want Red5 to be a marquee? I love how it says "That deals massive damage to Breached enemies." Must be a very low opinion of massive damage. See "soon" and "significant make-good". The complain train has arrived, all aboard! Hopefully we also get droid ships for Grevious and Mangaguard, or new crewless droid fighters.